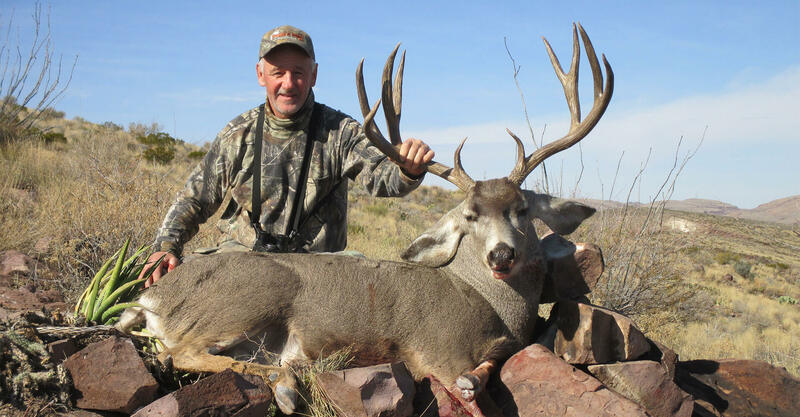 SINCE 1986.... We have been guiding and outfitting hunters in New Mexico and Texas. We are a small family business with lots of experience since we are full time outfitters. 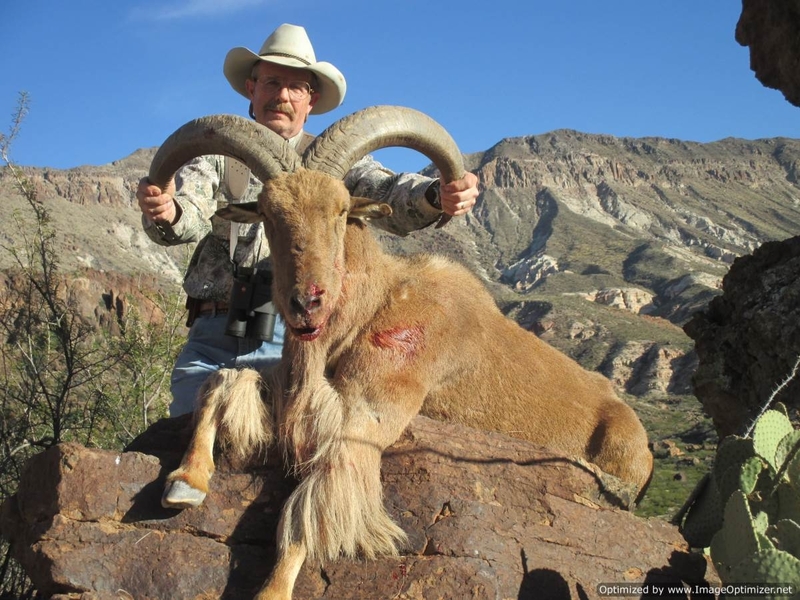 When not guiding hunters, we work on our family ranch in the Black Range area of the famous Gila National Forest. Our near 100% success rate on ALL hunts reflect our experience, knowledge of the area and the quality of our equipment. If you want to go on a hunt and kill something, give us a try!! Read the article Guidefitter wrote about us! 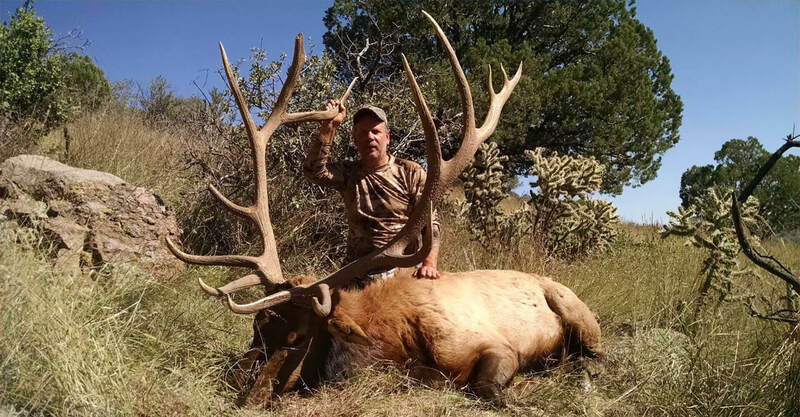 New Mexico has some of the best Big Game hunting in the West. 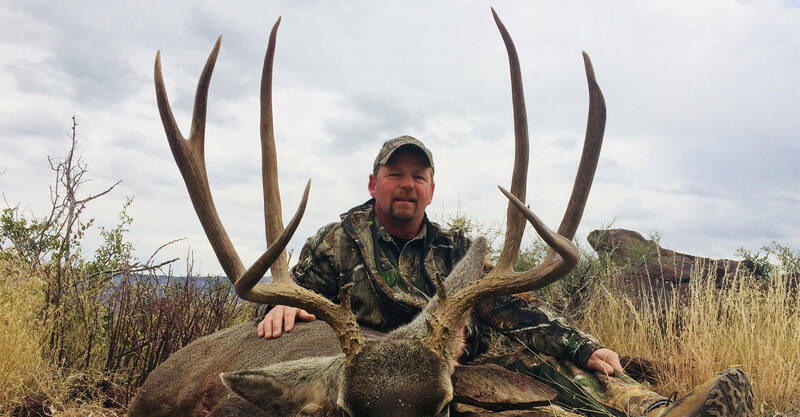 We hunt Big Bull Elk plus Mule Deer and Coues Deer from our family ranch. 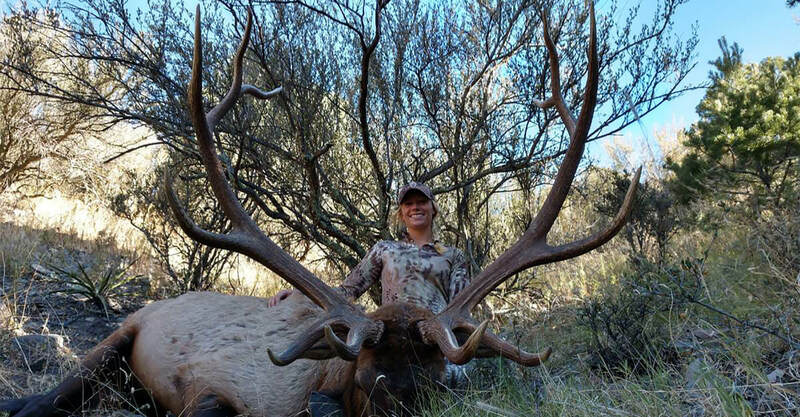 We also conduct pack-in wilderness hunts for Elk in some of the top trophy producing areas near our home. If you're looking for a once in a lifetime experience and extremely high odds of success....this is it!! 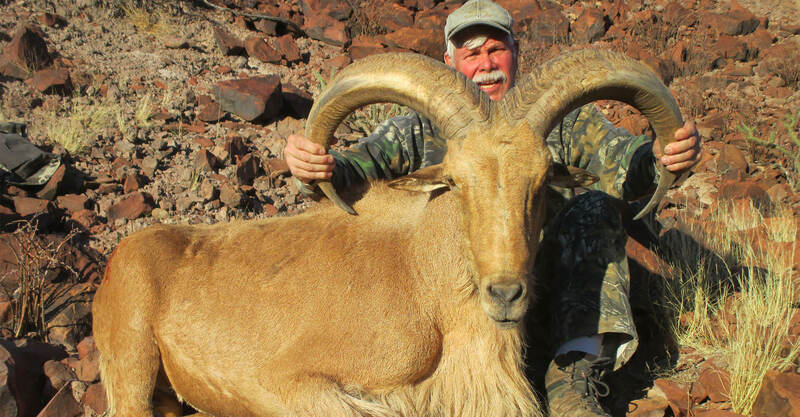 Our West Texas hunts are for free-roaming aoudad, mule deer and javelina in the rugged canyons and rims of the Chinati Mountain Range. 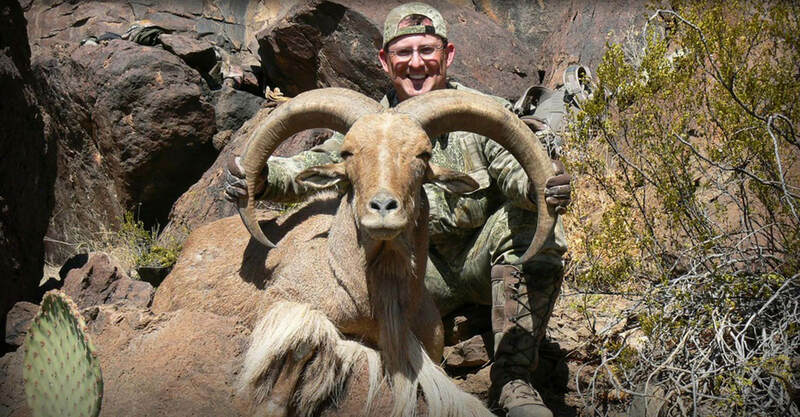 Our ranch is 50,000 acres of remote hunting country and we take between ten to fifteen aoudad hunters and six mule deer hunters per year. We have never had a hunter go home without their trophy for the last nine consecutive years! Be sure to check out the photo gallery!